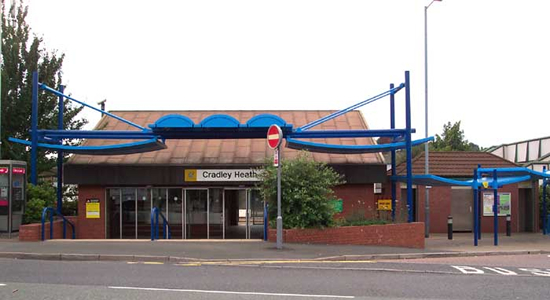 Cradley Heath Station opened in 1863 on the Stourbridge Railway's short line from Stourbridge to Old Hill (later incorporated into the GWR) and was originally know as Cradley Station. 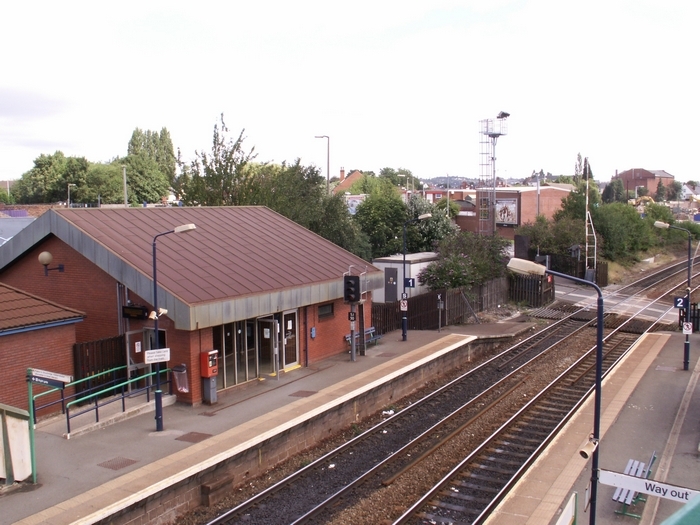 It is at the industrial heart of the Black Country and several branch lines ran off the mainline around the station serving collieries and heavy industries. Today, however, coal mining is a thing of the past and heavy industry has significantly declined leaving the main line the only source of through traffic for the station. 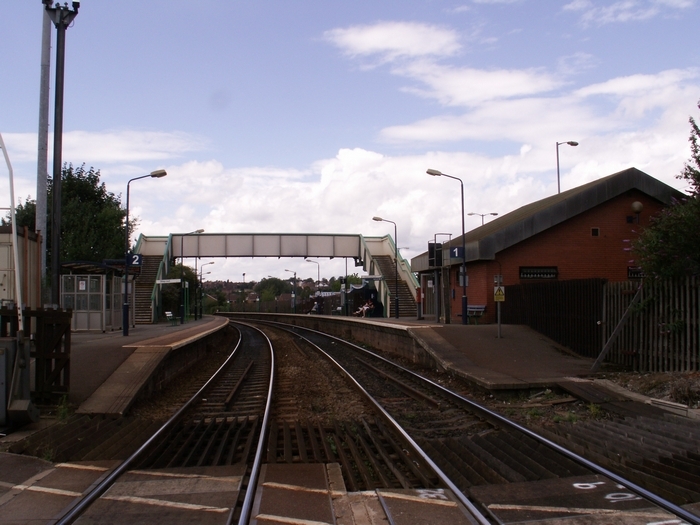 The entrance to Cradley Heath Station from Forge Lane can be seen above in August 2008. Above-left we see the station from the footbridge looking in the direction of Old Hill and, beyond the platforms, the automated level crossing that takes the track over Woods Lane. 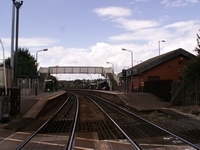 Originally, the platforms where once staggered either side of this level crossing. 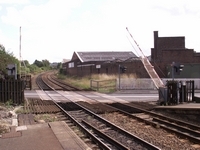 Above-right 153325 stands at the Worcester platform with the site of goods facilities and sidings to both the left and right of the line with the buildings partially obscured by the row of trees to the left dating from the goods yard itself. 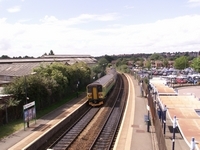 The area to the right was reclaimed from railway use to provide a bus station and, as with many of the region's station sites, a car park. Above-left is the level crossing on Woods Lane. 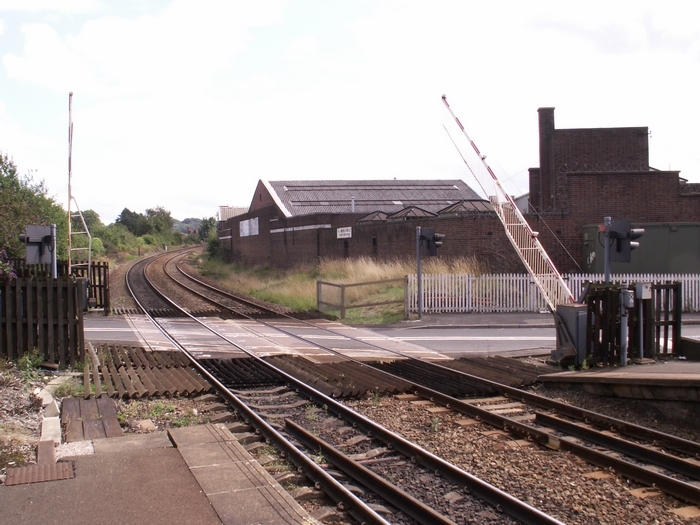 The whole station site is at the same level as the surrounding land so a level crossing was a necessity for the line at this point. Above-right we are standing on Woods Lane level crossing looking back at the station in the direction of Worcester.